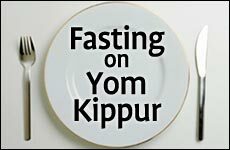 It's 12:15 a.m. on October 3rd and Yom Kippur has been finished for 6 hours but I still feel the after effects of the day. Yesterday, Jeff hooked me up with a meal by his friends Moshe and Tamar, and it was a really nice meal. Unfortunately, I ended up eating and running so I could get back to my apartment to change and light candles before Kol Nidrei. I felt bad, I never would have eaten and run like that otherwise, so I'm hoping the bottle of wine I gave them makes up a little bit for my rudeness. I set up my apartment and then raced to shul in time for Kol Nidrei. The minyan was packed, but I had an assigned seat, so I was all set. The davening was nice, pretty straight forward, and that as we were filing out Jeff told me that everyone was going to take walks on the Tayelet. I went with the crowd but was pretty surprised to see what the crowd was like. Now, I know this isn't like Tisha B'av, and you can be social on Yom Kippur, but that's just not what I'm used to. I walked with a couple of people for a while and then headed back home. This morning, I decided to go toa different minyan for the day. The downstairs minyan, whose median age was 75, was exactly what I was looking for. It was just tefilah, period. Shacharit and Mussaf went until 1:00 and then we had a break until 3:00. I went back to my apartment and relaxed until 2:30 and was the first woman back in shul at 2:45. I have a thing about being in shul for Sefer Yonah. It was my favorite class at Michlalah, partly because it was taught by Rabbi Mirsky of BMT fame, and partly because of the imagery of the story (the big fish, the casting of lots, the almond tree, the sailors, the port of Yaffo, etc.). What was odd was that, even though the fast ended at 6:01, we blew Shofar at 5:55 p.m. and then went right into Maariv. Maybe my watch was 5 minutes slow, but I hope no one ate until 6:01. I stayed through Maariv to make sure I heard Havdalah and then made my way home. 2) Even the most unaffiliated stays home and doesn't do anything. Since there isn't anything broadcast on TV or radio, the day is devoted to DVD's. Apparently, Erev Yom Kippur is the largest DVD rental day in the country. Sad. I spoke to Itai tonight, he knocked on my door to see how my fast went. He was just really in awe that I fasted today, and when I told him that I tend to fast all 6 fasts during the year, it blew his mind. I told him I kept him in mind during my tefilot, and that seemed to make him happy. Oh well, maybe I'll rub off on him and next year he'll try to come to shul. I'm still dehdrated, which was the worst part of today. I can go without eating for a few days, but in this heat, not having water is really not safe. I've been drinking since I got home and I'm still not hydrated. Hopefully, I'll start feeling a bit better before I go to bed. Tonight, I broke my fast here, and then worked on editing my second short story for class. Thursday is my last day and I have to hand in my final two stories to get graded. My professor is going to give out grades by the 15th, so I'm really hoping he'll like what I wrote! Tomorrow is a quiet day. I am waiting for the cable guys to come and pick up the boxes from the first company I signed up with in the old apartment, I have to do laundry and give in my cleaning, and then I want to go to the gym and check out this new supermarket on Arolzorov. I also have to do some serious editing of my stories too. I hope everyone had an easy and meaningful fast.